Famous chef Julia Child once said that "With enough butter, anything is good." 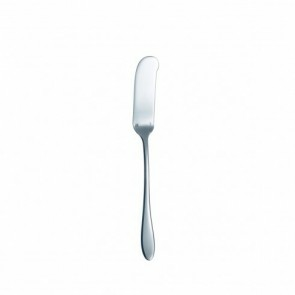 It is hence perfectly legitimate for the butter knife to be one of our favorite table cutlery. 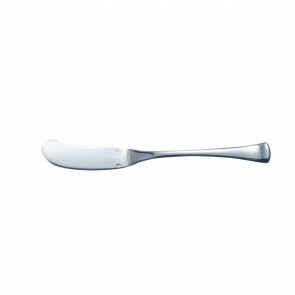 Also called butter spreader, these utensils which are the favorite cohort of our butter dishes, are used to cut the butter and then to spread. 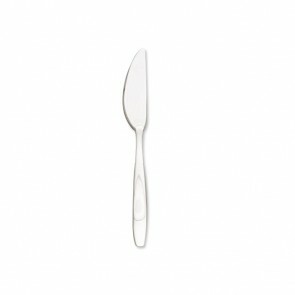 They will certainly bring a touch of elegance and revolutionize your breakfast. 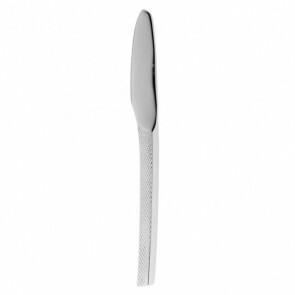 These cutlery items are appreciated by both table scaping addicts and by gourmets. 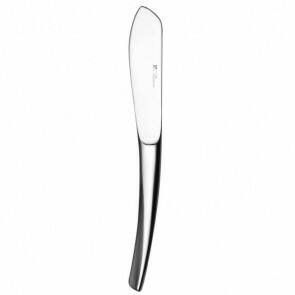 When it comes to knives, it may be natural for the non-professional user to get a little lost and find it complicated to distinguish between the different knives types: table knives, foie gras knives, kitchen knives, universal knives, cheese knives, steak knives or even fish knives… However, to simplify things and save headspace, bear in mind that the butter knife has a very specific shape. 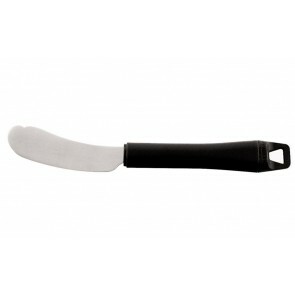 Its blade is not very sharp and has a well-rounded edge. 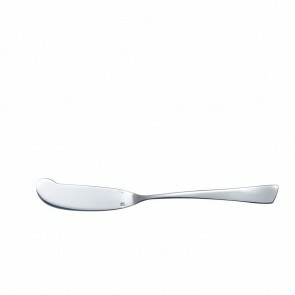 In addition, the blades of these kitchen utensils are not serrated to avoid leaving marks in the butter. To cut very hard butter, you will need to use a butter slicer and spread it with a knife on your slice of bread. AZ boutique features a wide range of models from prestigious brands such as Guy Degrenne, Boska and Victorinox. To add some flair to your table decor: you can even match your butter knife with your bread knife, your cheese service or your butter dish by opting for a handle of the same color (red or orange for a technicolor fun touch or black for sobriety). Fond of rustic? Discover our beautiful knives equipped with ebony wood or olive wood handles. You can also opt for the timeless charm of silver metal or the latest trend of the moment: stainless steel. 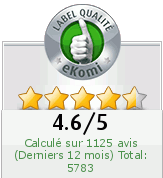 This metal containing chrome and nikel is very appreciated for kitchen utensils thanks to its high resistance to corrosion and time and health safety. You will find matt stainless steel and polished stainless-steel models with refined or more elaborate design like the engraved handle knife. 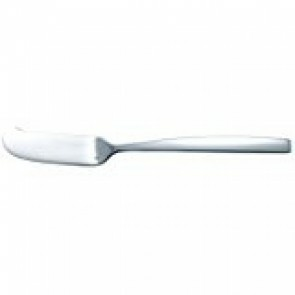 Since this flatware item does not really need to be very sharp, you will hardly need to sharpen your butter knife. 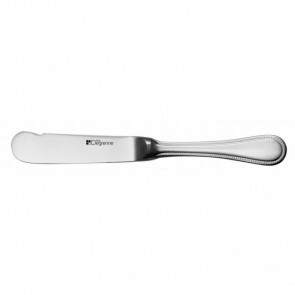 Maintenance is an essential criterion to choose the perfect knife or a cutlery set. 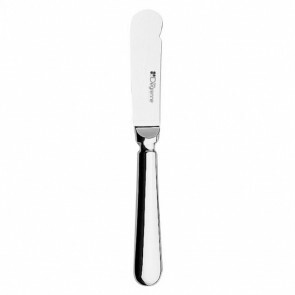 If you opt for a stainless-steel knife, little or no maintenance is required. 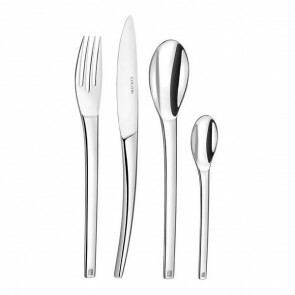 You do not need to polish them and all stainless-steel cutlery is dishwasher safe. Use knife storage boxes to protect your stainless-steel blade optimally. 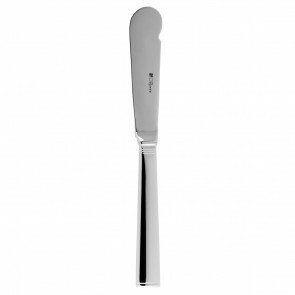 Find the most beautiful kitchen items and tableware items on AZ boutique website with our wide collection of knives set, kitchen knife, table knife, steak knife, fish knife, cheese knife or cheese board. 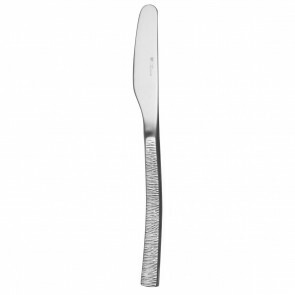 For breakfast or for tea, AZ boutique has carefully selected a comprehensive range of butter knife, spreading knife, and cheese slicer and grater. 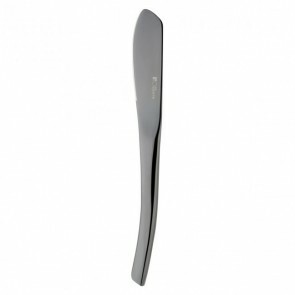 We also feature the famous Guy Degrenne brand!